Ready to update and refresh your resume from our previous collaboration? Just as in our original work together, I’ll spend considerable time exploring your goals and any changes that have taken place in your career. I don’t hold still in my career, and you shouldn’t either! 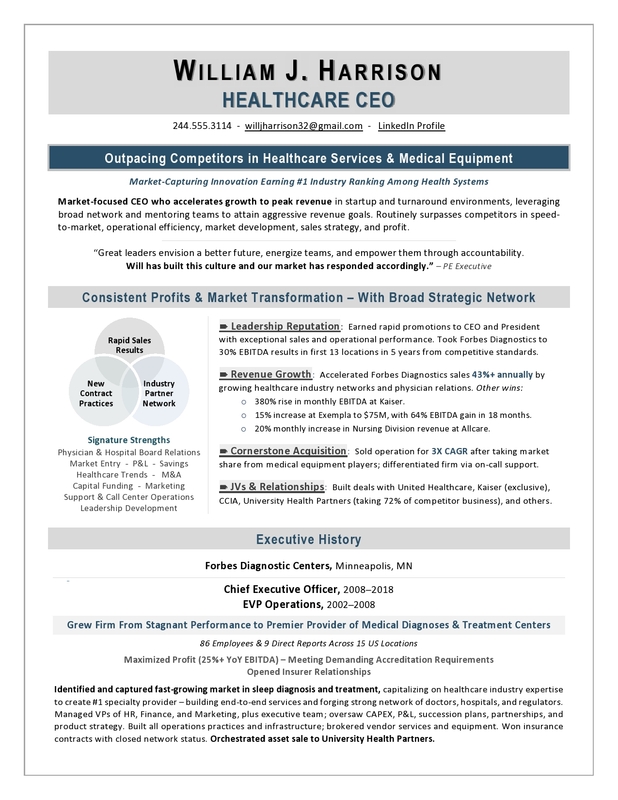 My work continues to win global awards for cutting-edge resume design, format, and content. Contact me to continue the success you’ve enjoyed in your career! I maintain constant awareness of job market trends and recruiter preferences, and as always, I collaborate with you personally and confidentially to get great RESULTS. As a valued client, you’ll receive 25% off any Resume or LinkedIn services (use code UPDATE25 at checkout on my Services page), including any NEW documents or coaching sessions. Your resume updates include a fresh presentation and design crafted by one of the most renowned executive resume writers in North America. You benefit from my continual training, advancement, and record of awards in the careers industry, including new credentials and conference attendance that sharpen my already-successful techniques. All Update services include a NEW Resume Branding Strategy Session with me, as well as new information gathered via a Branding Questionnaire. As before, I’ll listen carefully to your career success stories and gather the context of your achievements during a personal, intensive interview. at checkout to receive your discount on the Services page. 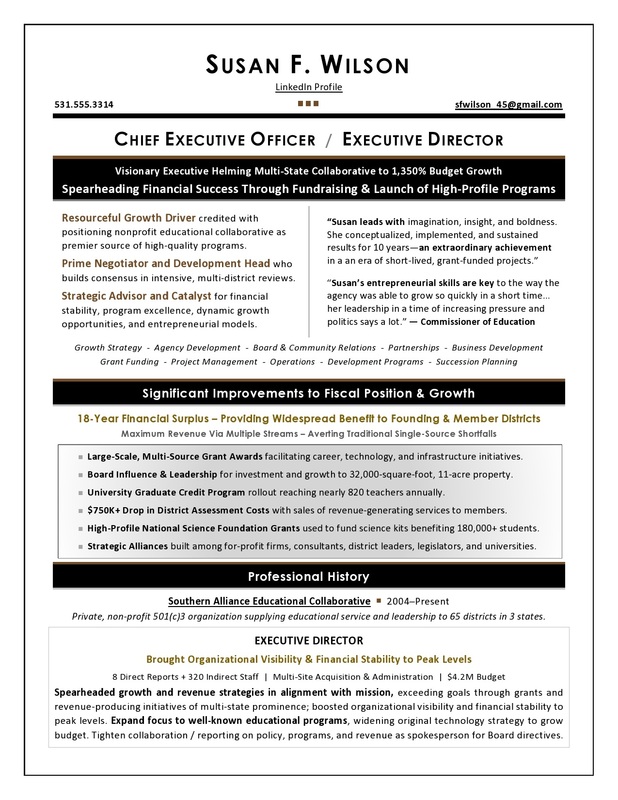 In addition to LinkedIn Profile, Resume, Biography, and Cover Letter services, I also write Critical Leadership Accomplishment Summaries, Recruiter Cover Letters, Thank-You Letters, and Web copy by request and individual quote. I use a highly consultative process to draw out key strengths and achievements that will form the basis for a compelling and persuasive resume. An Expert Resume accepts payment by MasterCard, Visa, Discover, and American Express. My clients are so satisfied, they refer their friends and colleagues to me–again and again! I thought you might enjoy seeing The Ladders critique for the resume you created for me. ‘Thank you for submitting your resume to TheLadders.com. I have some good news: This is a strong resume, so you should be happy with it! I sent out 10 resumes and received 9 calls back, even from companies without posted openings. I set up 6 interviews and received 3 job offers. Don’t miss your opportunity to benefit from my unique Resume Branding Process! As a seasoned job search expert, I specialize in drawing out your personal work style, value proposition, and leadership brand–and leverage this information to your advantage. With a reputation for crafting the best strategy to land interviews, my services are unmatched! To view examples of the quality work that I can provide for your job search, visit my Samples page to see the unique strategy behind each client’s job search success. Please contact me for a no-obligation analysis of how I can best meet your needs. Do you struggle to access six-figure jobs–and want to find out my secrets? This exciting book represents the EXACT strategies I use to win high-powered+ jobs for clients. Click here to get more information and learn about how you can instantly download your copy.